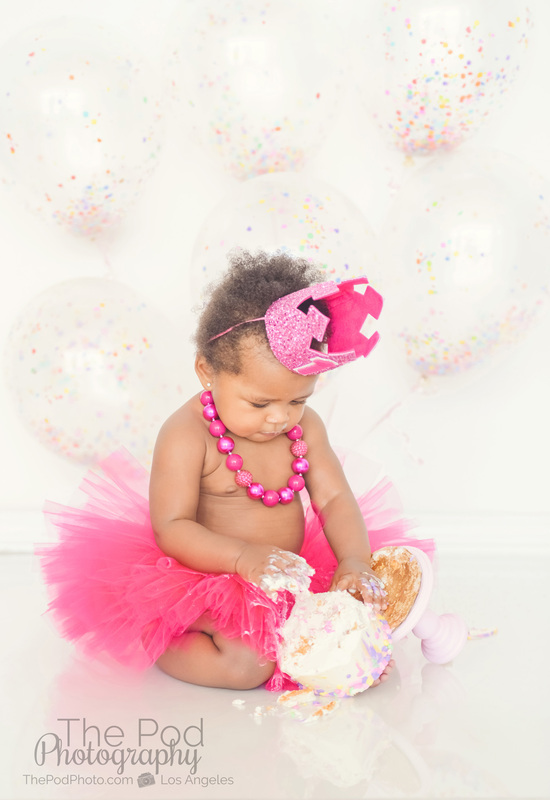 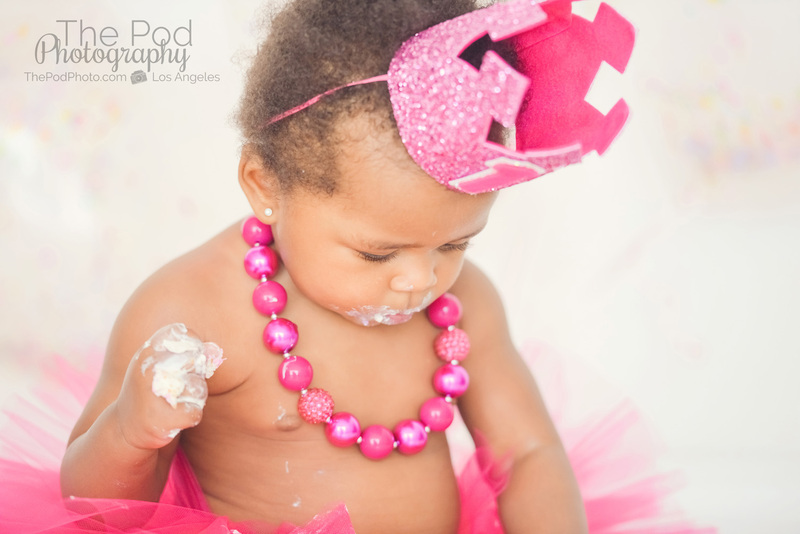 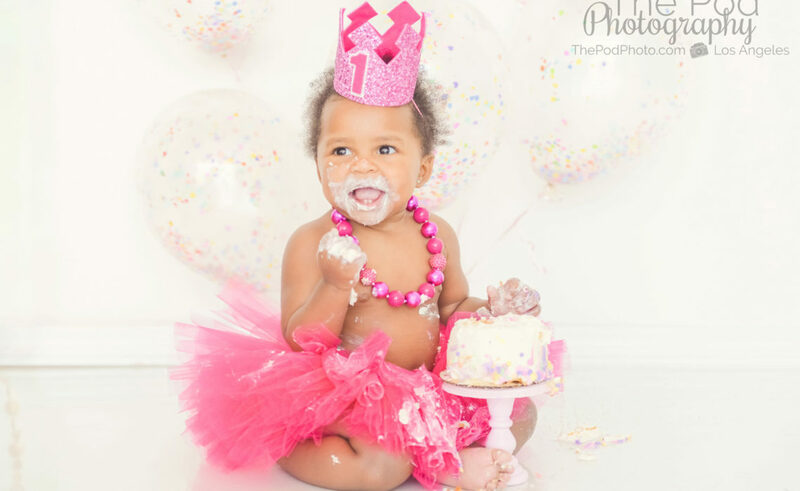 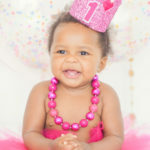 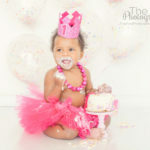 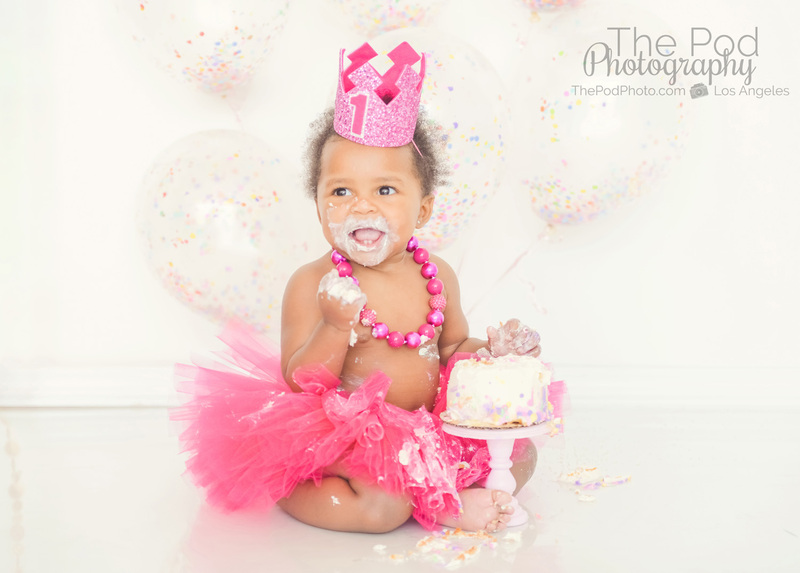 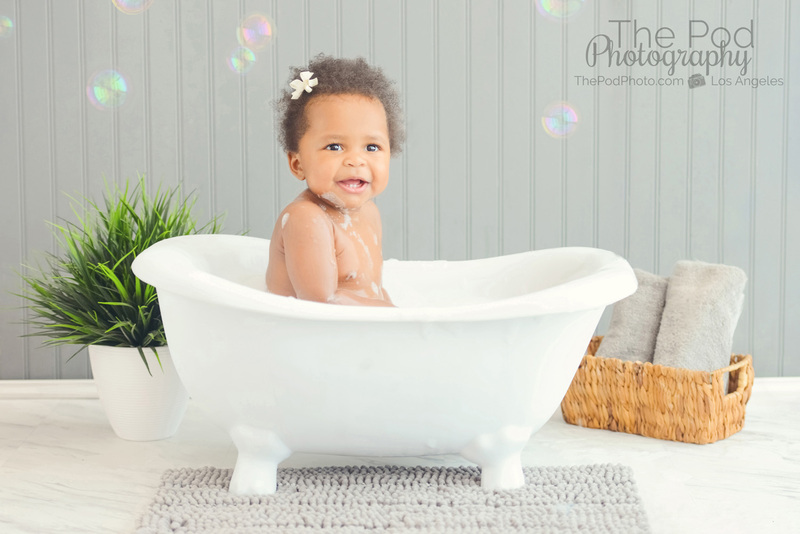 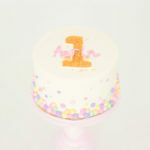 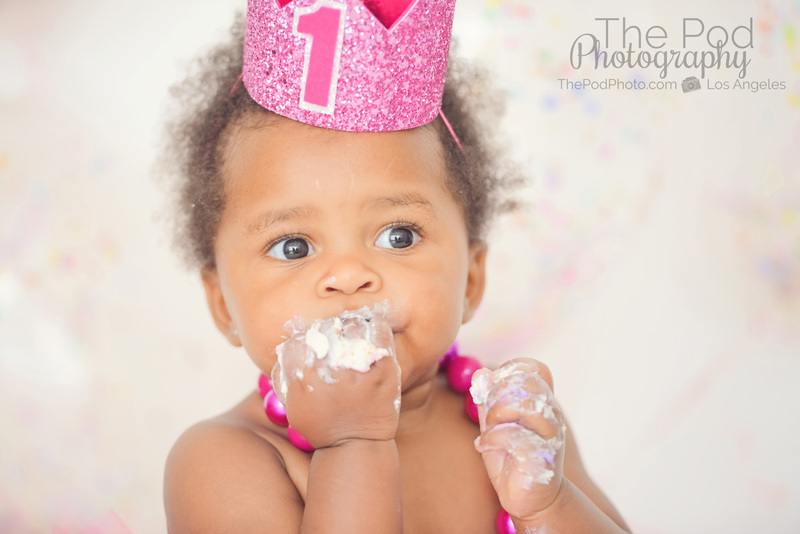 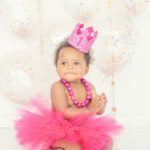 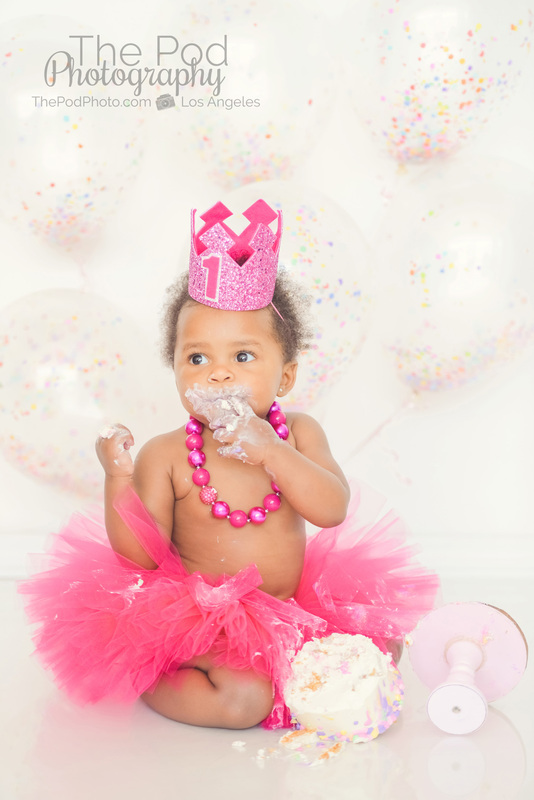 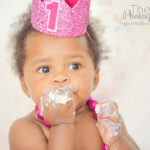 First Birthday Portrait Photography | Los Angeles Cake "Smash & Splash" Sessions - Los Angeles based photo studio, The Pod Photography, specializing in maternity, newborn, baby, first birthday cake smash and family pictures. 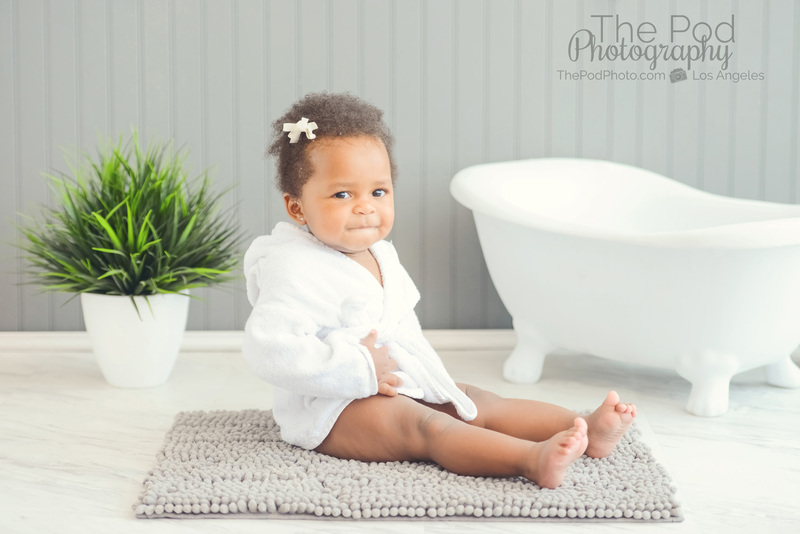 When we met baby Aerin a few months ago over the Holiday Season, we absolutely fell in love with her! 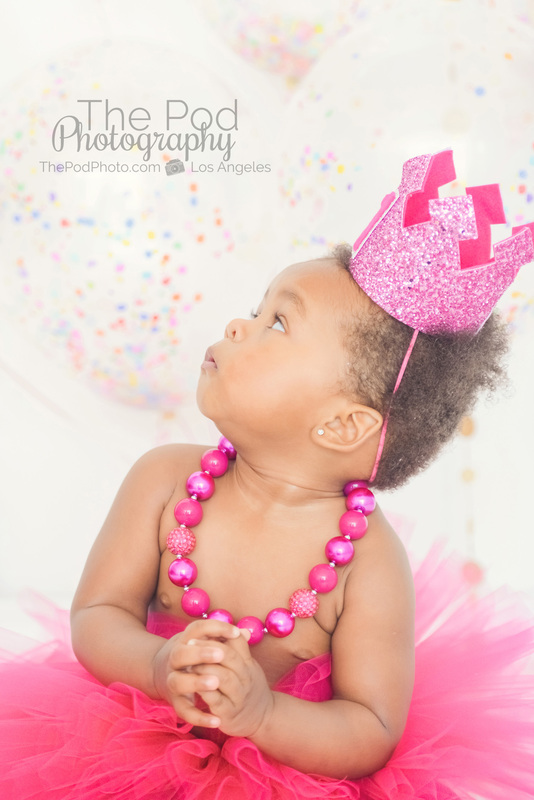 And we’re glad that she and her mommy fell in love with us too – enough to bring her back to our Los Angeles photo studio again for her big first birthday milestone!! 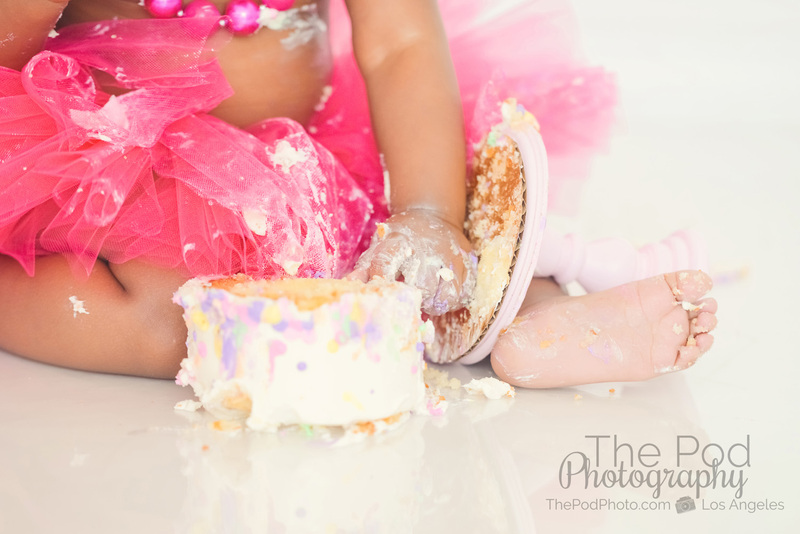 We had so much fun planning this session together, too. 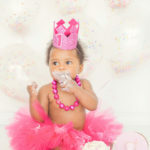 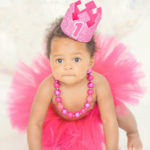 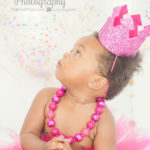 This momma knew she wanted her sweet little baby girl in hot pink, so she custom ordered a tutu, pearls and first birthday crown from Etsy, along with these incredible confetti-filled balloons! 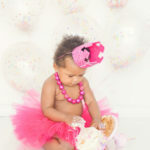 The balloons were also the inspiration for Aerin’s cake which we ordered from our new favorite bakery, Top Tier Treats located in Los Angeles, California, just up the street from our photography studio. 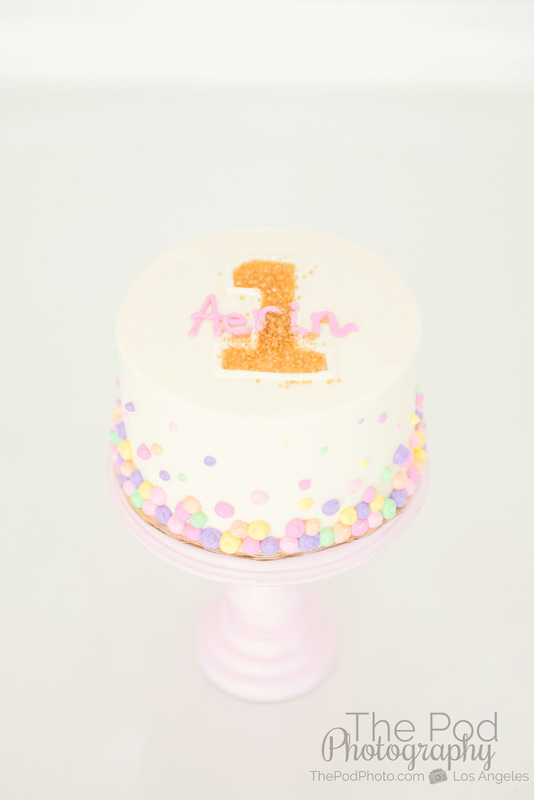 The simple pastel polka dots were the perfect match to Aerin’s set. 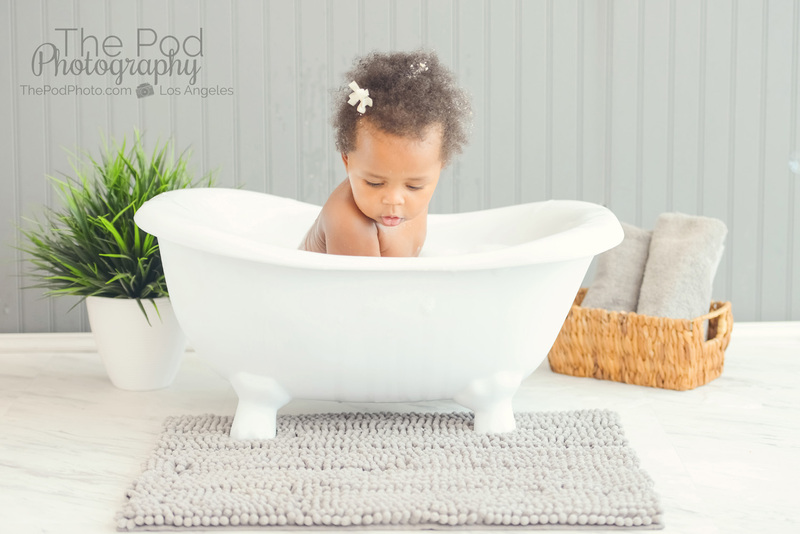 We are obsessed with how these photos turned out. 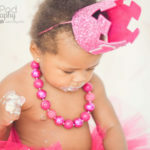 The contrast of this baby’s girl’s rich skin tone with the hot pink and bright white background is simply stunning! 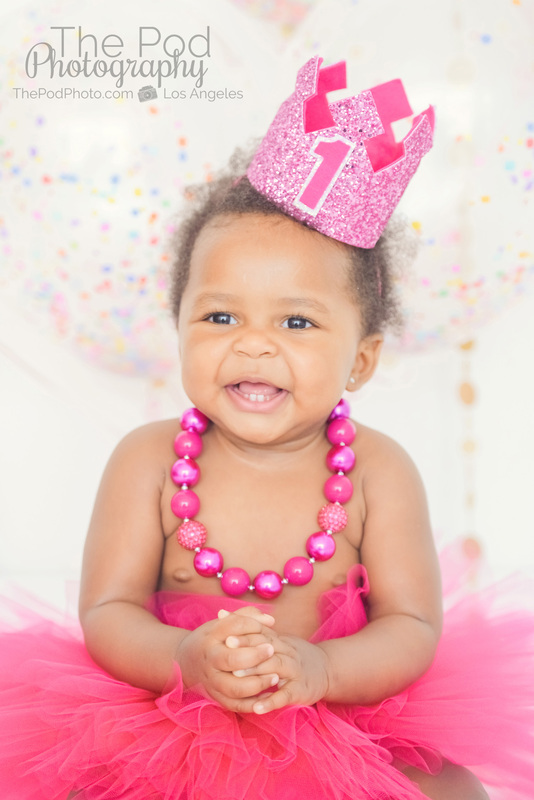 Thank you for all of your sweet smiles, Aerin! 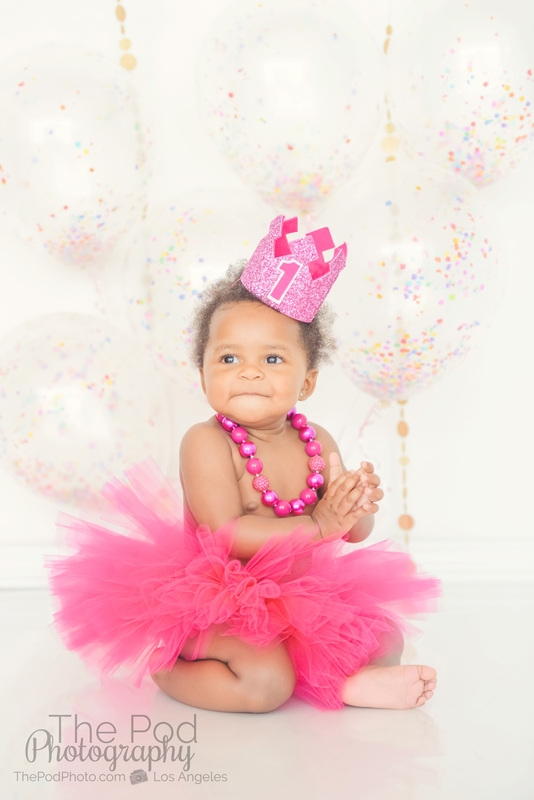 Interested in having your little one photographed for their big milestone coming up? 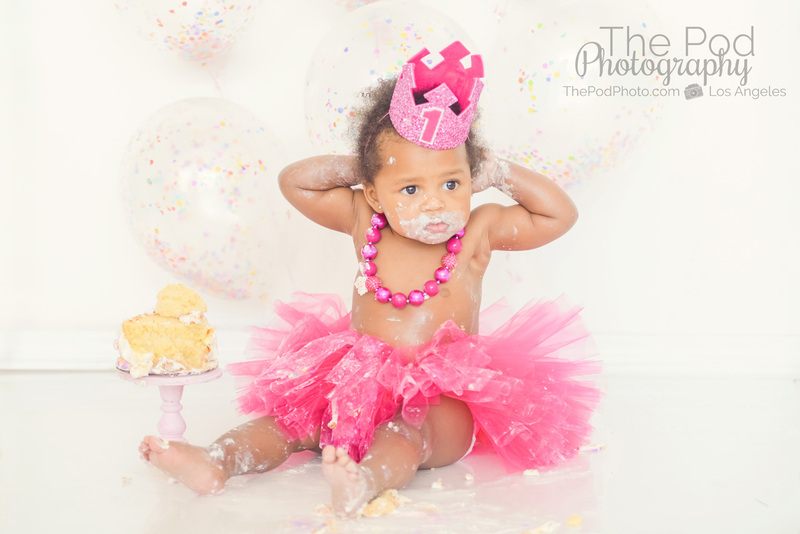 Here at our Los Angeles portrait studio, we specialize in First Birthday, Newborn, Maternity and Family photography. 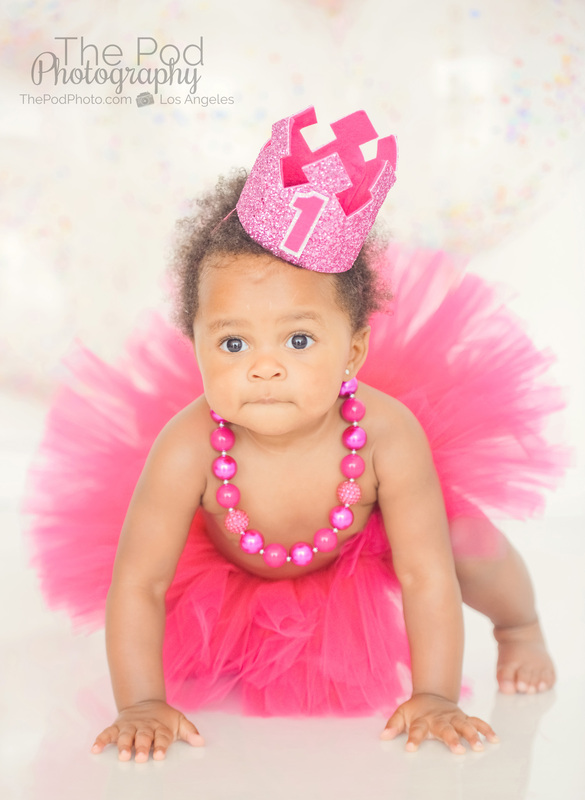 We would love to document you and your once-in-a-lifetime moments! 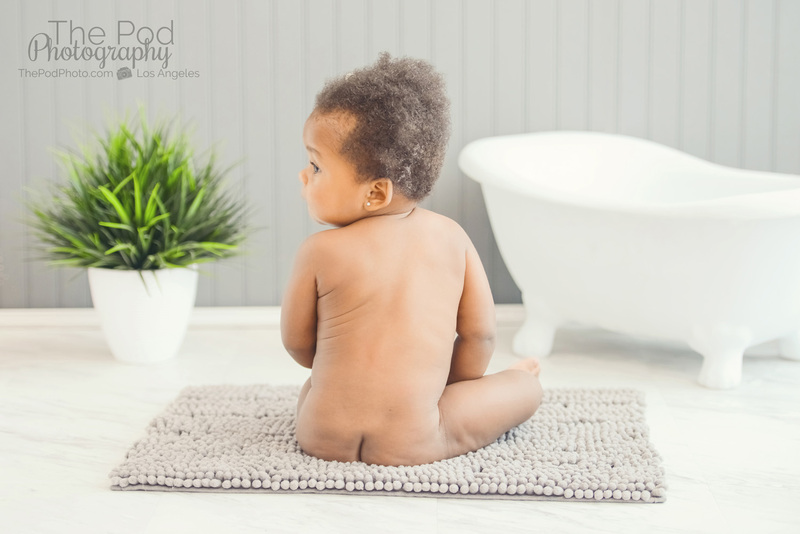 Just give us a call at 310-391-4500 to set up a consultation with your photographer and be sure to follow us on our Blog, Facebook, Instagram and Google+ to see what we’ve been up to, or explore our YouTube page for more!